I’m still in Mexico, so this is a pre-scheduled post and I really hope it went up and y’all are seeing these cuties in the above photo right now. 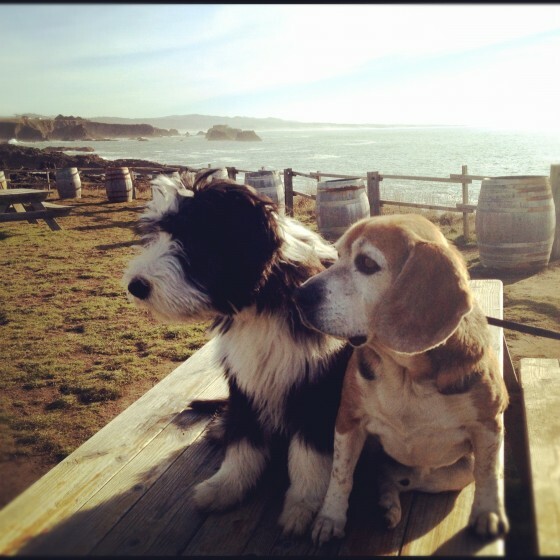 They are the winery dogs at Pacific Star Winery in Mendocino and have really nothing to do with this post except for the fact that every time I look at this picture, I smile. I hope you are smiling right now, too! What a life. Anyway, it’s been a couple weeks since I’ve written a book review and I thought this time it might be fun to give an actual book list instead. I’ve done this over the past few summers and it seems that you guys like it…or at least, I hope you guys like it. 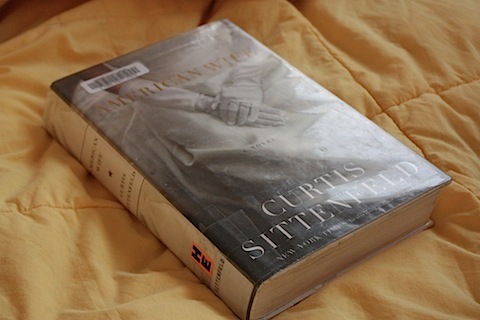 These are the current books on my radar—I just finished this one and loved, loved, loved it! I’m about to start the new Jodi Picoult book on my flight home in a few days so I’ll keep y’all updated on how that goes. And while we’re talking books, I’m also going to shamelessly plug myself here and tell you that my book, White Jacket Required, is now available for pre-order on Amazon. How crazy is that??! Seriously crazy. I can’t believe it’s becoming so real! September 4th can’t come soon enough. Here ya go! 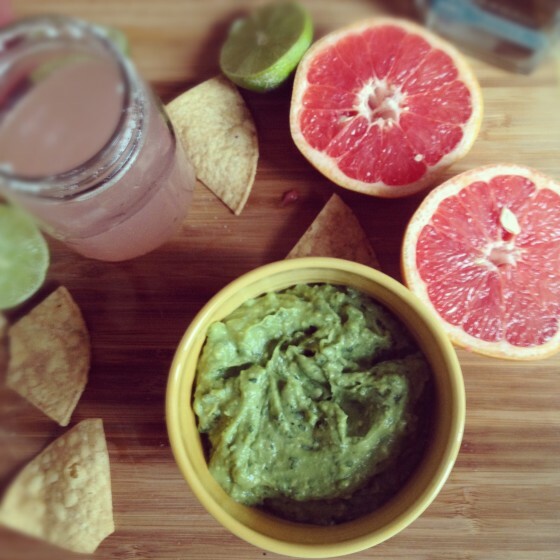 Books are always better read with a margarita, chips and guacamole by your side. Hi Jenna!! I was wondering what your favorite books are that take place in the South. I am from California but have this overwhelming obsession with the South — gorgeous old houses on plantations, hot summers, small towns. I’ve read The Help, The Secret Life of Bees, and To Kill a Mockingbird, and would love to read more. Any suggestions would be most appreciated!! What about Gone with the Wind?! The book blows the movie out of the water. 🙂 also, dry grass in August is based in the south…it’s sort of like the help. The Outlander series is wonderful too (and very addicting! ), and some of the books in the series alternate between modern day and 18th century South Carolina. I def. recommend starting at the beginning of the series though — they are all fabulous. Last one– the kitchen house! Great, great read set on a plantation. Born and raised in GA, but still love books about the south….I second Jenna’s suggestion of Gone With the Wind. One of my all-time favorites. I was surprised that, although I adore her in the movie, I wanted to strangle Scarlett in parts of the book! Also, Pat Conroy books are based in the South. The first one I read was Beach Music, but I’ve read them all. Warning though, they tend to have a dark, tragic twist to them. I totally agree with the previous suggestions. I went through a similar phase, and had this burning desire to get to Charleston and Savannah (Xmas or 2010!). Try Anne Rivers Siddons, although her books tend to get a little melodramatic, and Dorothea Benton Frank, whose books are set in the Charleston/Savannah/Hilton Head area; 1 of the reasons that caused my travel binge there. I just love your book lists. Almost always, I can count on loving the books that post and review! I love finding new books to read! Thanks! Love when you do book suggestions! 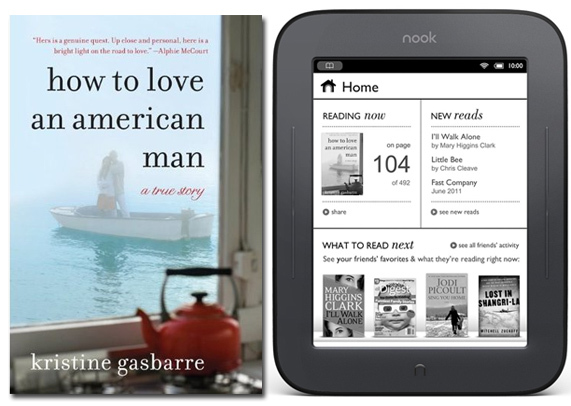 heading to florida in april and this list is going on my kindle now! congrats on your book coming out so soon! Thank you for the book suggestions! It’s always good to get a list so I know for sure that someone with similar book taste as me like it and I won’t be disappointed. I read Room last month and loved it. Yes, the doggies made me smile, too. I ordered “The baker’s daughter” and it will be in the mail today. Can’t wait. Congrats on your book! I am sure September seems a lifetime away right now, but it will get here before you know it! Congrats, Jenna, on your book being released on Sept 4!!!!!!!! Eek! How exciting Jenna. Congrats. Will def. be placing an order! Awesome list! I can’t wait to get started on some of these. By the way, I went on a serious Diane Chamberlain kick a while back ago because of your recommendations and I think I’ve pretty much read all of her books now. Thanks and I hope you’re enjoying your time in Mexico! 🙂 Cute pups! congratulations on your book! love the cover! Jenna, What an accomplishment, you must be SO proud! Of course I will buy your book, BUT when will you be touring and signing??? Let us know when the dates get set. Love the recommendations. Congratulations on your book! Big big deal! I recently read Home Front and loved it – first Kristin Hannah book for me but won’t be my last. Also read a talked about book called “The Odds – A Love Story” and thought it was not worth the read – just a little strange and a too quick ending – not the page turner it was claimed to be. LOVE the recommendations! congrats on the book deal. your blog has been one of my favorites and very first blogs I starting reading back in college! i admire your courage, humility, and passion! hope to buy your book! Been reading your blog for years but I don’t usually comment. Just wanted to say that I’m so excited that your book is coming out soon! I’ve been anxiously waiting for it ever since you started talking about it 🙂 I never pre-order for anything but just did for this. Thanks for the pic of the doggies! I grew up with beagles and they will always have a special place in my heart! Perfect timing with the book list. I’ve been in search of my next read for this month. I’m a huge Jodi Picoult fan ( gotta support a local author!) so I think I’ll check out Lone Wolf! Oh thank you! I am just in book transition, I’ll have to check out some of these and see if they are a good fit! 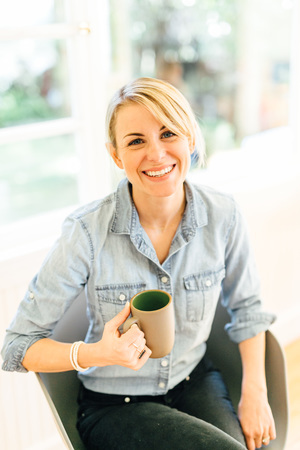 Love your blog…I check in everyday with my morning coffee in hand! Just wanted to say congrats regarding your book, looking forward to it. And yes, I love the book recommendations. Keep ’em coming! Hope your are having a fabulous vacation. Please tell me your book will be released for Kindle… I want to pre-order. Best of luck with it, I’m so excited for you! I can’t wait to read your book! Will it be in kindle form too? 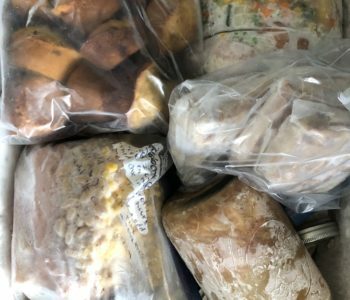 Hi, I was just wondering if you are still doing to PBS recipe posts??? I absolutely am! 🙂 I’ve been posting links to my PBS posts on my Facebook page lately so check it out for updates! Yay! Thanks for the list! I’ve loved every book you’ve ever suggested! Those puppies are adorable. I am beyond jealous of your Mexican feasting. And I need to get my hands on the Baker’s Daughter. Great list! Could you hear my beagle squeal all the way in Mexico?? Wow, I have not read a single one of these books! Although I do have Lone Wolf on my shelf waiting for me ~ Jodi Picoult is one of my very favorite authors! That’s soo exciting about your book! 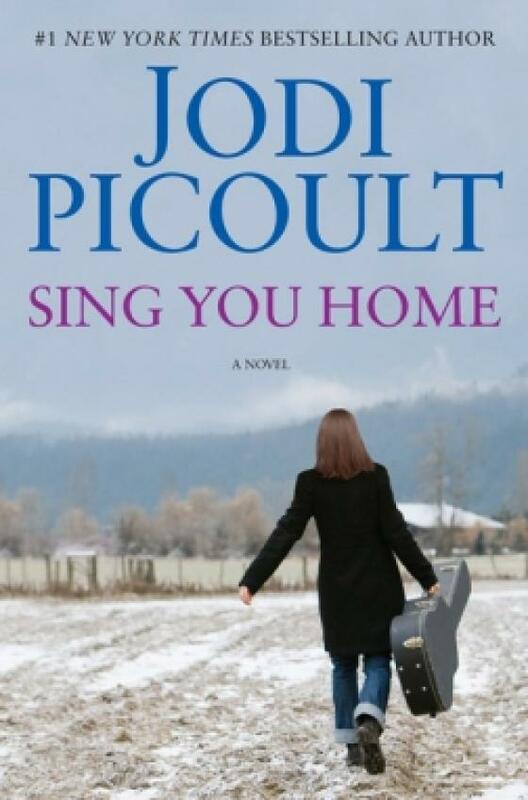 I’m anxious to hear what you think of the new Jodi Picoult–i’ve heard mixed reviews. You’ll have to let us know how the new Jodi Picolt book is. Your book recommendations are the best! I even have my mom checking your site before she heads to the library. Pre-ordered! I love how easy it is to buy stuff on Amazon. Click. Click. You’re done! Can’t wait to read it!